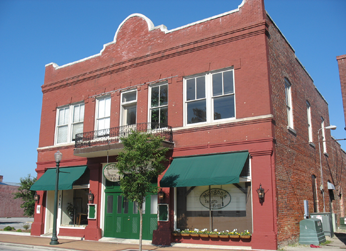 The building in which we call home here at Morgan's was built in 1911/1912 and was known as the "New Bern Garage Company, Inc." This company was known as one of the leading organizations for repairing, handling and purchasing automobiles. 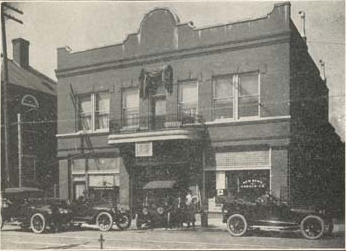 The New Bern Garage Company were agents for Buick and Hudson Automobiles and Henderson Motorcycles. The building itself is a massive brick structure with wall measuring 14 to 16 inches thick. The building has one of very few balconies built in downtown New Bern and original steel framed skylight in the center of the restaurant. As you walk thru Morgan's you'll notice displays showcasing period tools which would have been used by associates of the New Bern Garage Company. We are proud to call our home here! It may be said that the handling and sale of automobiles has become one of the leading industries of New Bern, and a number of well known corporations are engaged in the trade here. One of the leading concerns is that known as the New Bern Garage Company, Incorporated in August, 1911. The following well known gentlemen are its officers Mr. Eugene H. Williams, president; Mr. Ebb H. Williams, vice-president, and Mr. B. F. Williams, secretary. They are located at 58, 60 and 62 Craven Street, where they have a large and modern garage, and are agents for the Buick and Hudson Automobiles, Henderson Motorcycles and a complete stock of auto tires, as well as gasoline, oils and greases. A specialty is made of repair work.